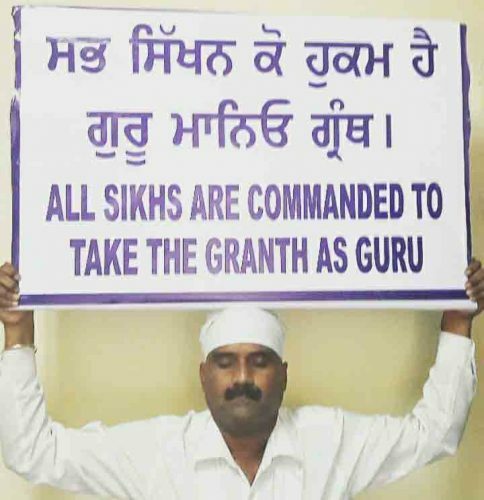 Punditrao Dharenavar, assistant professor, post graduate government college, sector-46 Chandigarh spread the message of “Guru Maniyo Granth” on the holy occasion of First Prakash Utsav of Sri Guru Granth Saheb ji. The translator of Sri Jap Ji Saheb ji into Kannada language of Karnataka, Punditrao has said that if got blesses he will translate Sri Guru Granth Saheb ji in Kannada language in his life time. He has also said that Sri Guru Granth Saheb ji is not only Guru for him but also for his many generations to come.